Madison held the annual "Ride The Drive" event today. Several main roads are closed to auto/truck traffic and only human powered vehicles are allowed. As a way to keep the event fun-filled, there are about a dozen local bands who perform at a couple of locations. 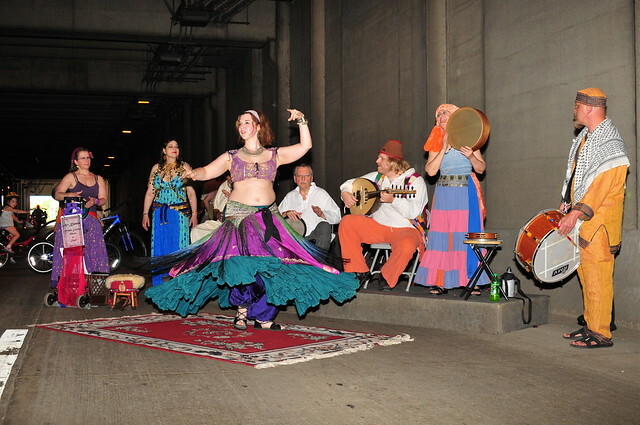 The band with which my wife plays - Al Khemia - was one such band, and they performed in the tunnel under the Monona Terrace Convention Center. 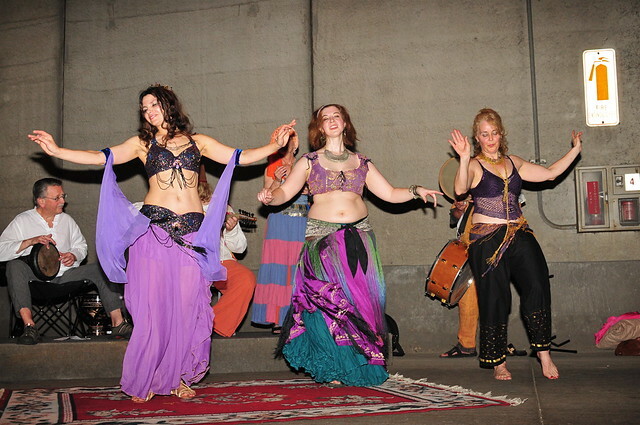 They perform classic Arabic music from all over the Middle East, and today they had guest dancers with them. Mostly the dancers improvised, and did it pretty well. The band seemed popular to the passers-by, and at one point more than 40 people had gathered. People came and went as the spirit moved them, so few were there for any length of time. 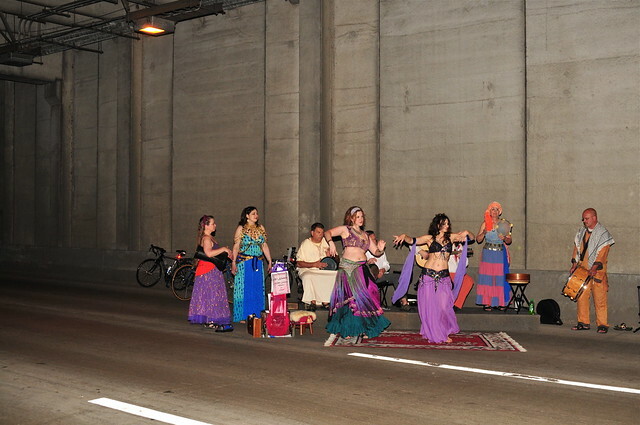 They played for an hour, and there was a steady stream of mostly bicyclists passing, so many people were at least treated to a moment of their music and dance. In all, those who listened were pretty well entertained. I know that I was. Here is a link to a small SLIDE SHOW of more photos.